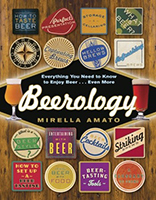 This book includes a survey of what makes craft beer great, how to understand different beer styles, how to cook with beer and match beers and food, right through to how to brew your own. BrewDog is one of the world's fastest-growing food and drink brands. Well known for their crowdfunded, rapid expansion and iconoclastic approach, the company now has a wide range of award-winning craft beers (67 to date) that are stocked by every major retailer, 55 BrewDog-branded bars around the world and is just opening a major brewery in Ohio. 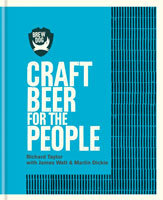 Their first beer book will focus on explaining craft beer to the widest possible audience. It includes a survey of what makes craft beer great, how to understand different beer styles, how to cook with beer and match beers and food, right through to how to brew your own. It's both a window into the BrewDog world and a repository of essential information. Designed in the highly individual style of the brand, the book includes quirky features such as spaces to place your drop of beer once you've ticked a particular beer off your 'to-drink' list and a DIY beer mat. What craft beer is and how to taste it. How beer is made, the fundamental four and freshness versus age. Beer styles, the rise of the IPA and eight pathways of discovery. How to home-brew, from taking the extract to all-grain, no-pain. Pairing beer and food, cooking with (and alongside) craft beer. Our BrewDog spotter's guide, craft beer glossary and James and Martin's favourite bar crawl.